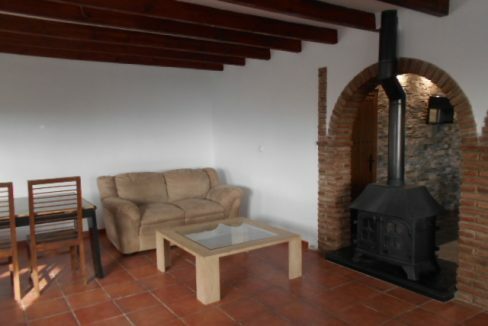 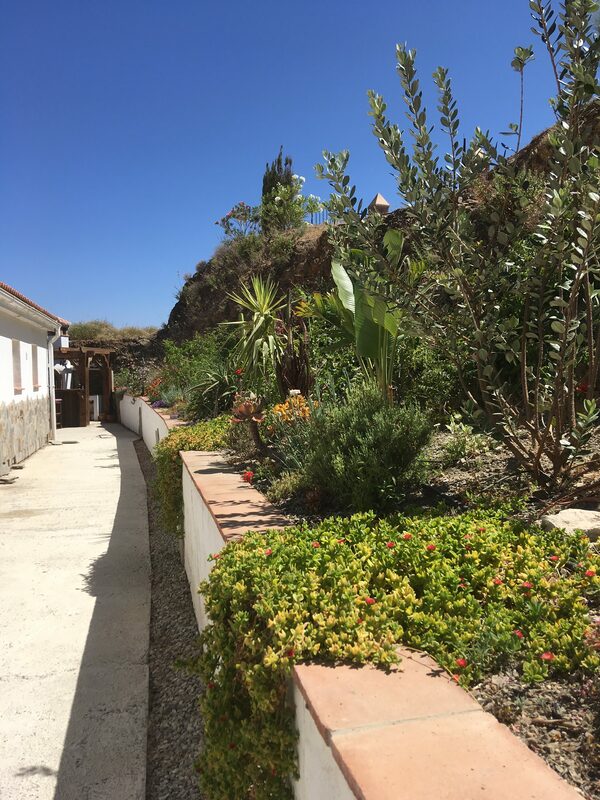 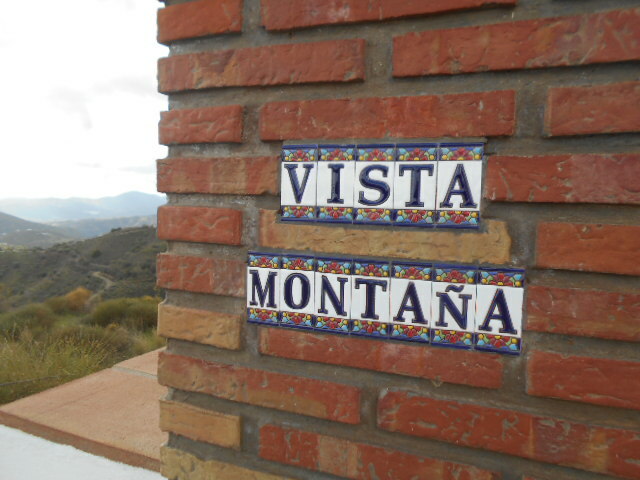 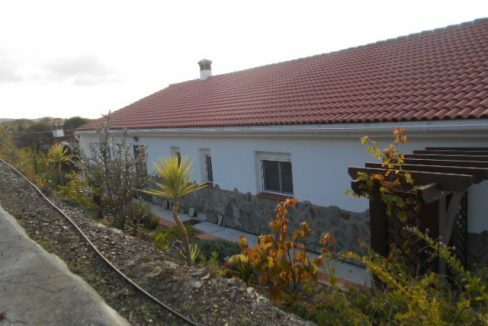 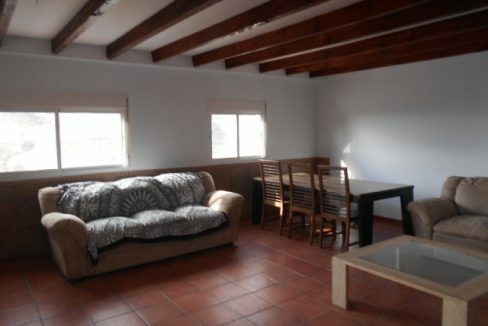 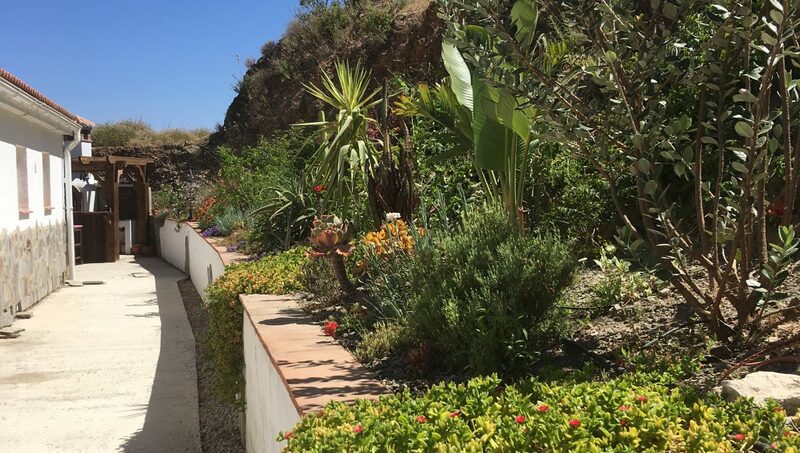 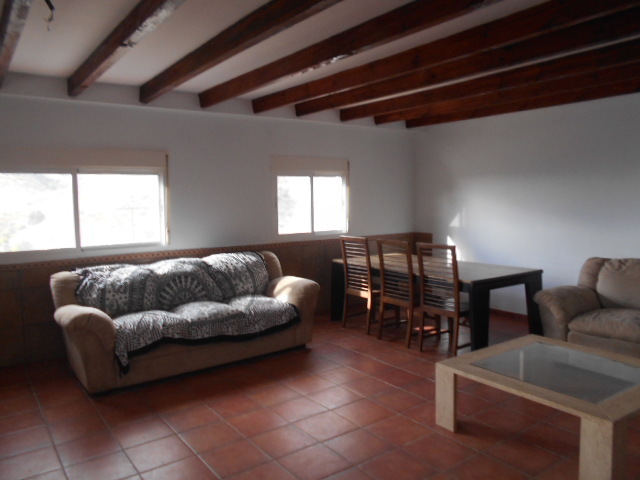 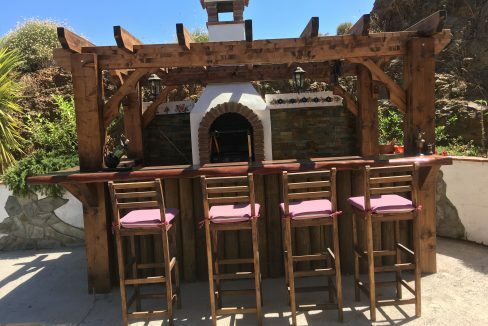 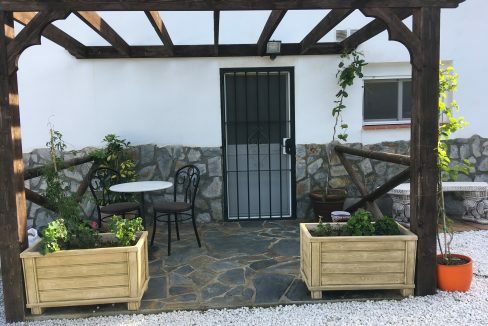 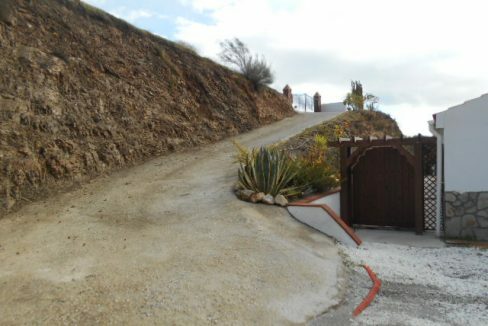 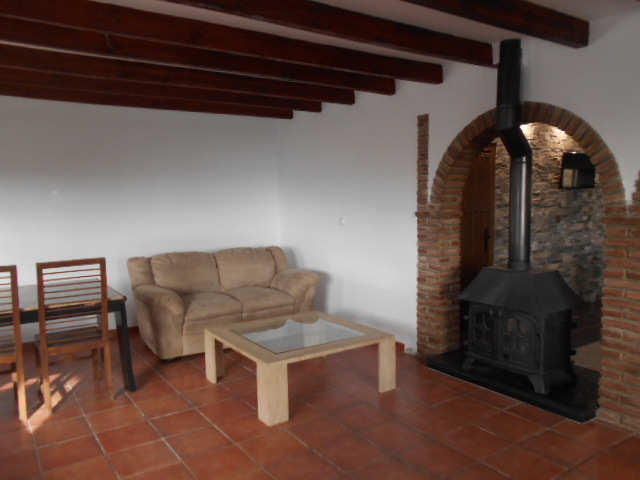 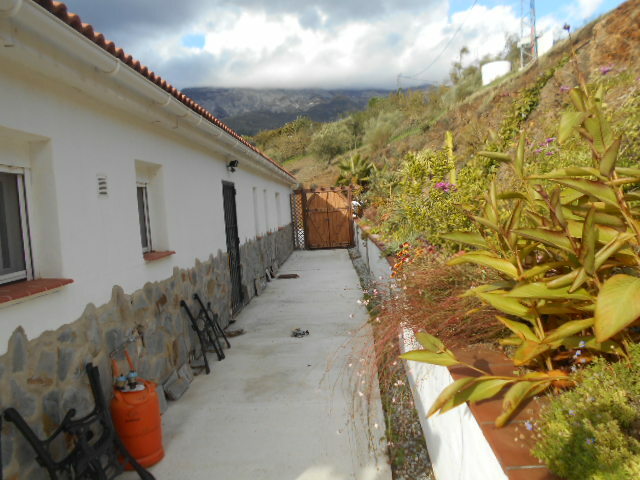 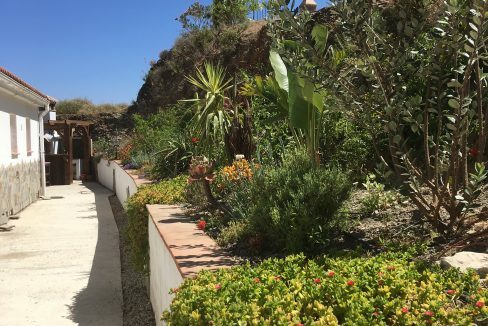 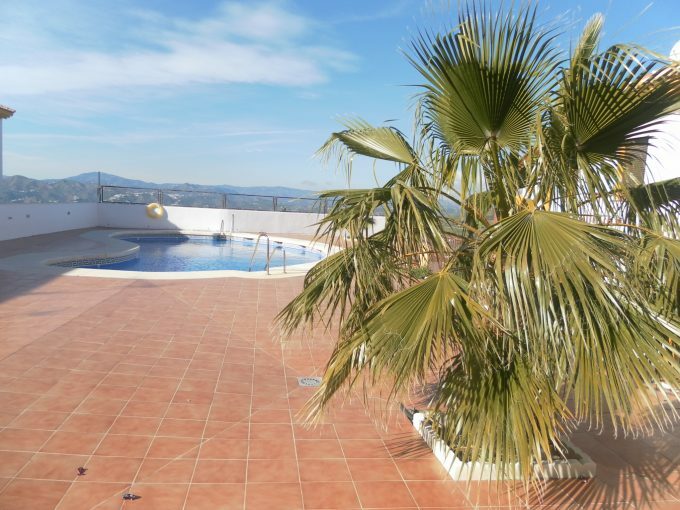 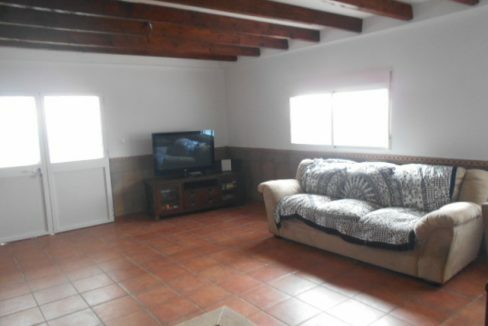 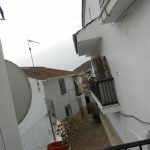 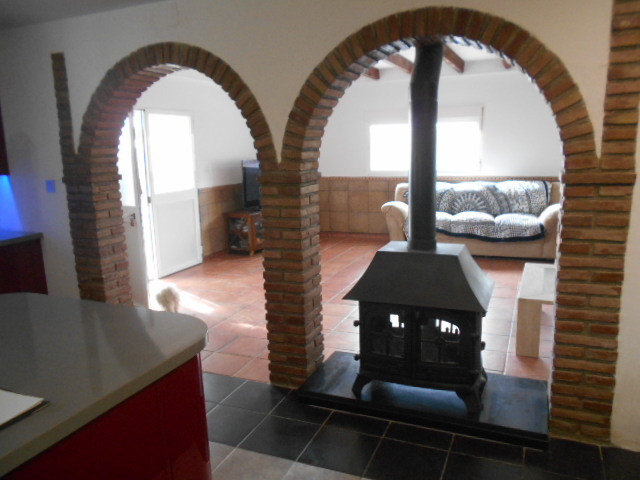 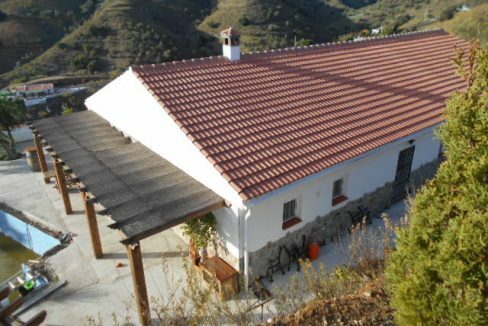 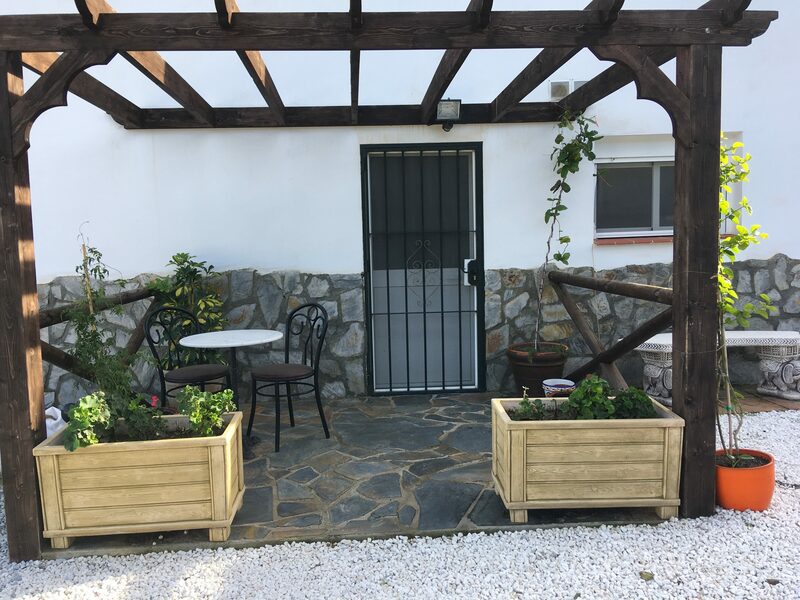 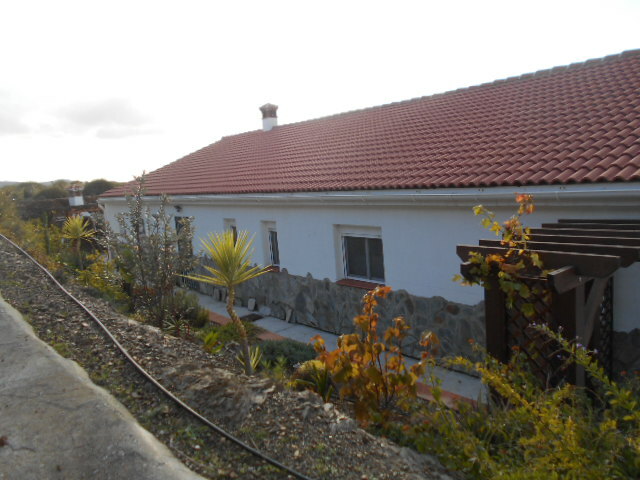 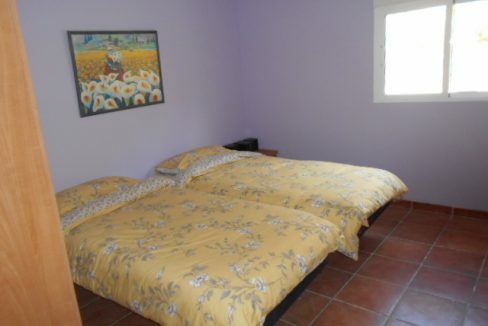 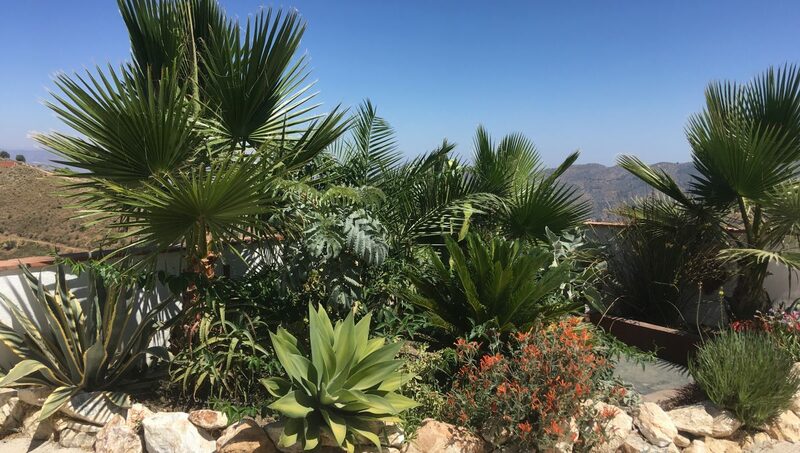 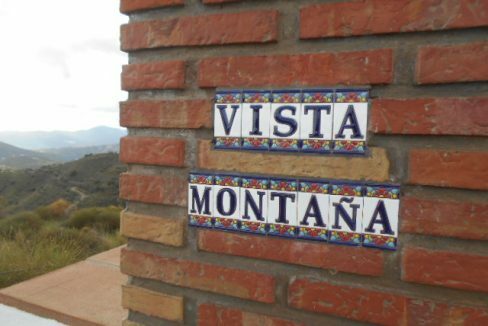 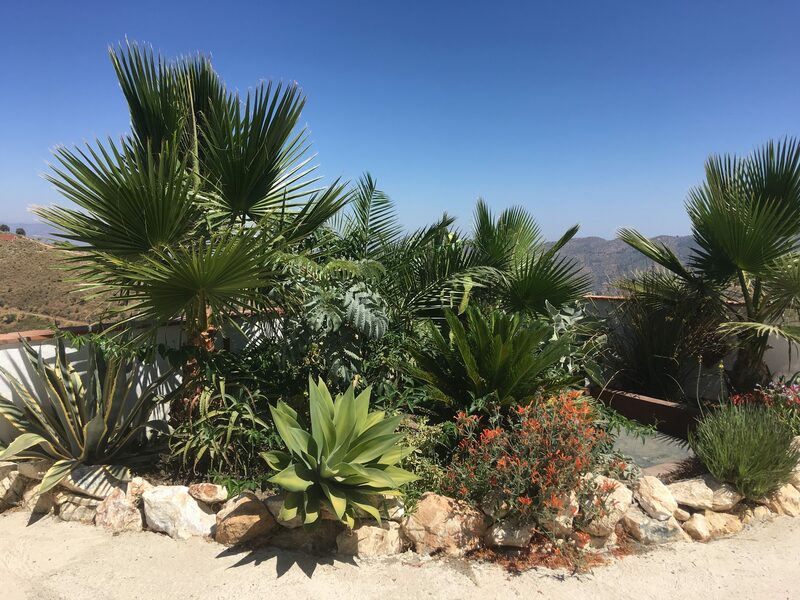 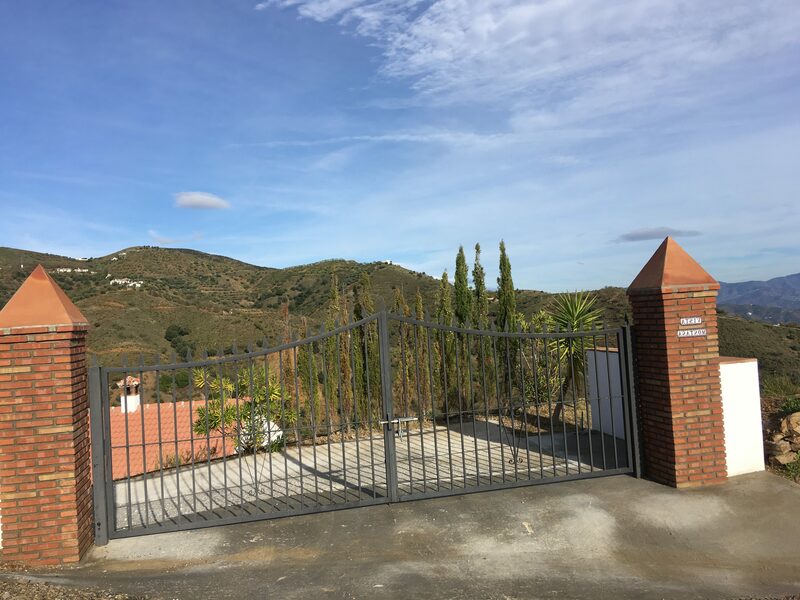 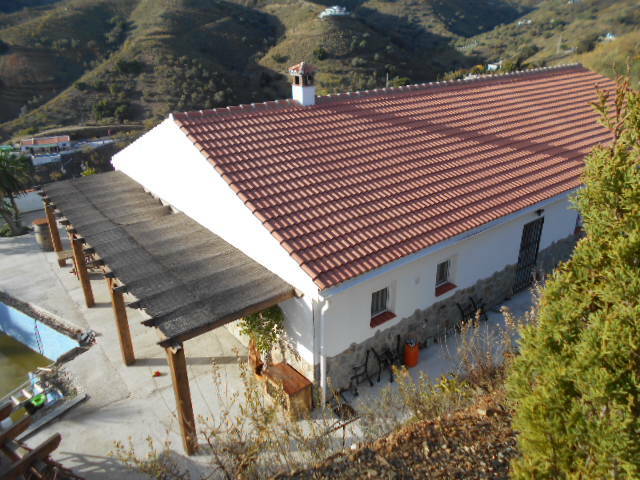 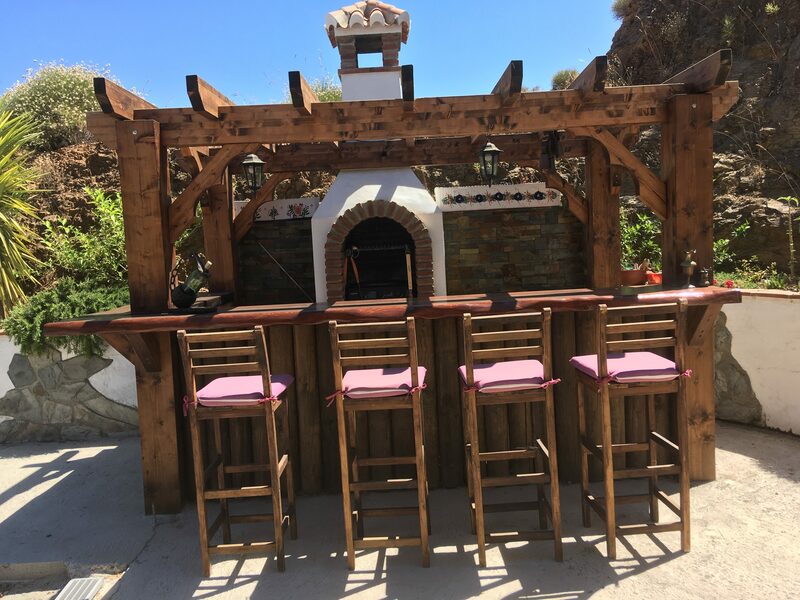 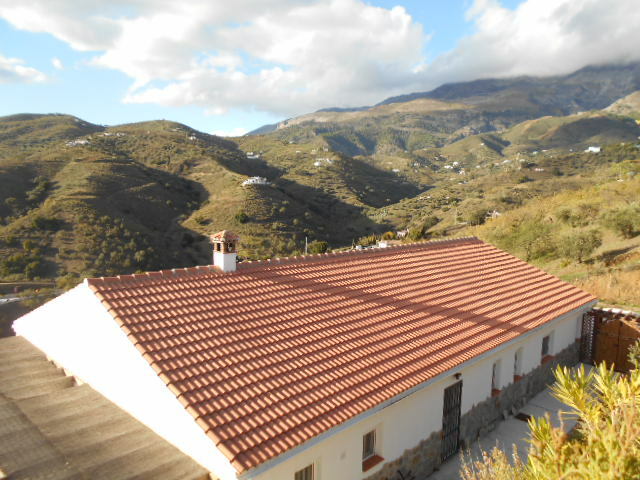 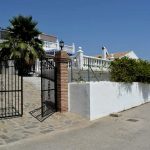 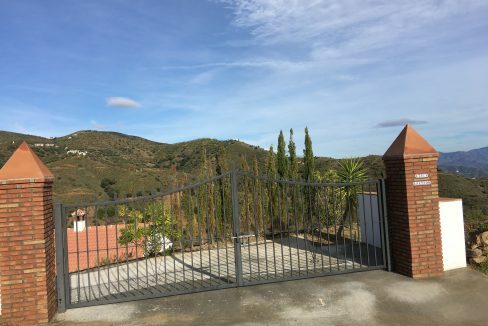 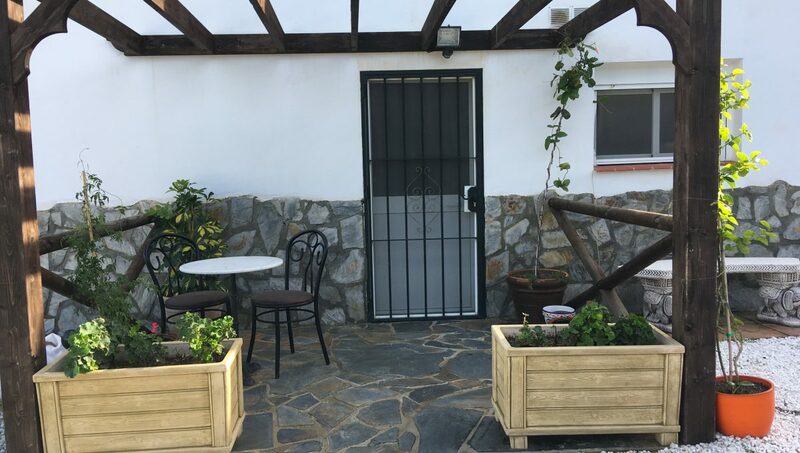 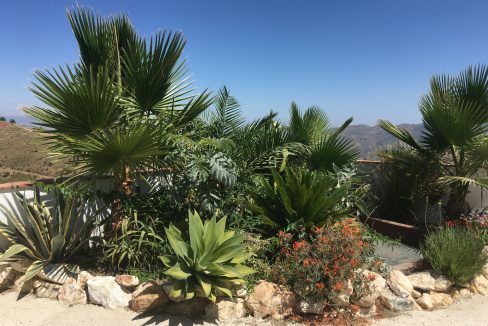 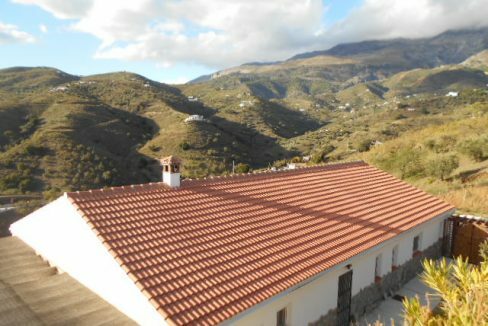 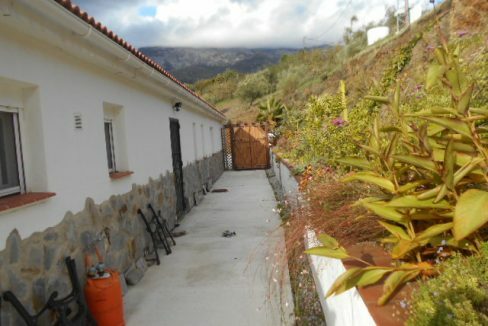 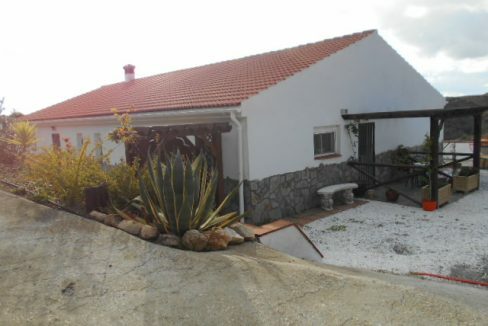 Vista Montana is a lovely 3 bedroom , 2 bathroom villa in the area of Sedella/ Canillas. 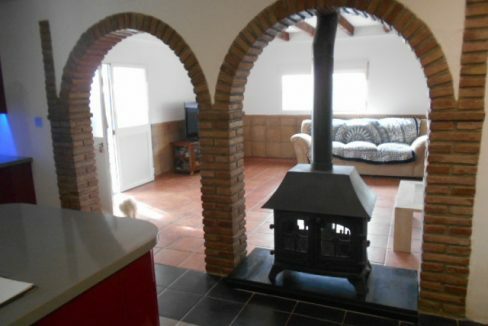 A modern property with eclectic points, open plan living and central log burner. 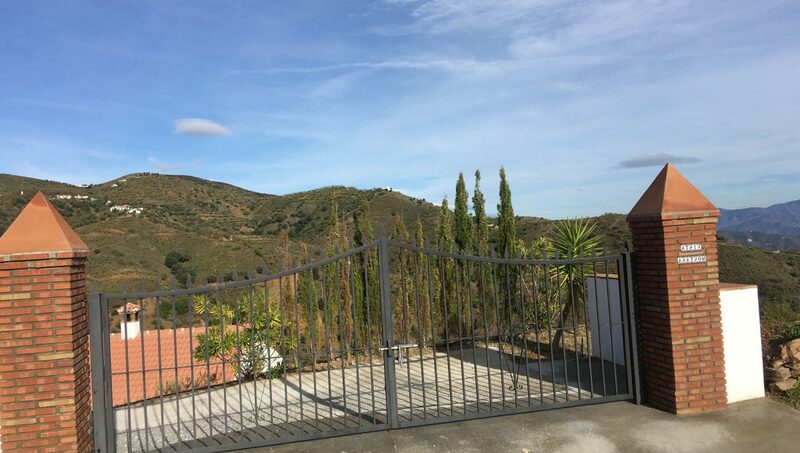 Panoramic countryside and mountain views. 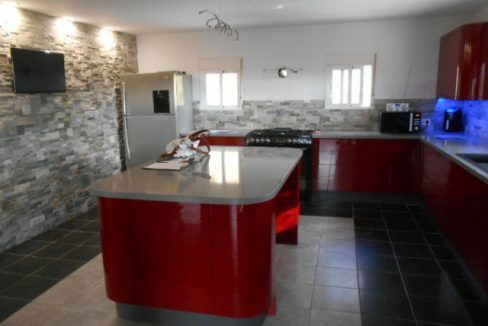 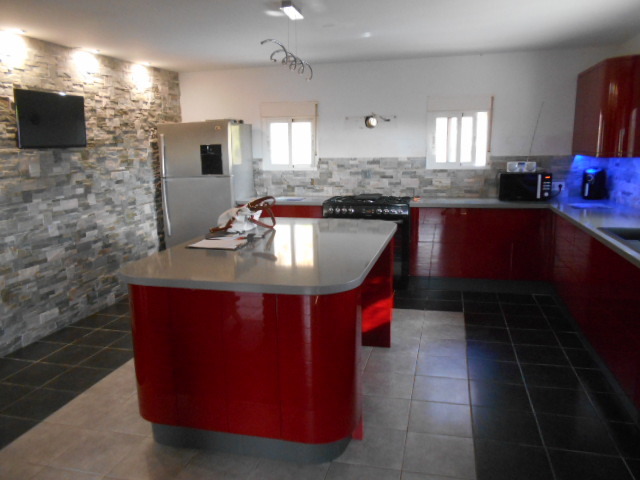 Plot 8000m2 approx and build 200m2 approx .It has a stunning modern kitchen with an island and open plan living room with a central log burner .The large lounge leads to a covered terrace with private pool and terracing all around the house. 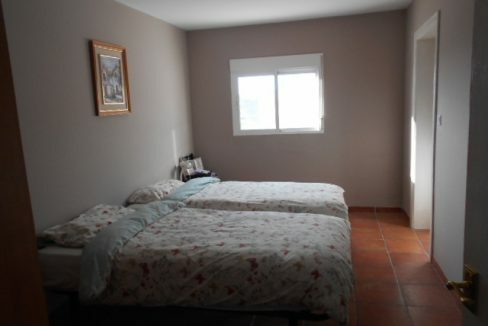 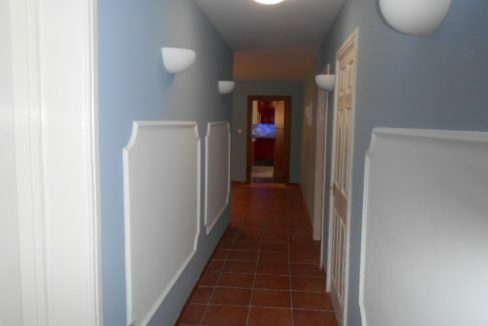 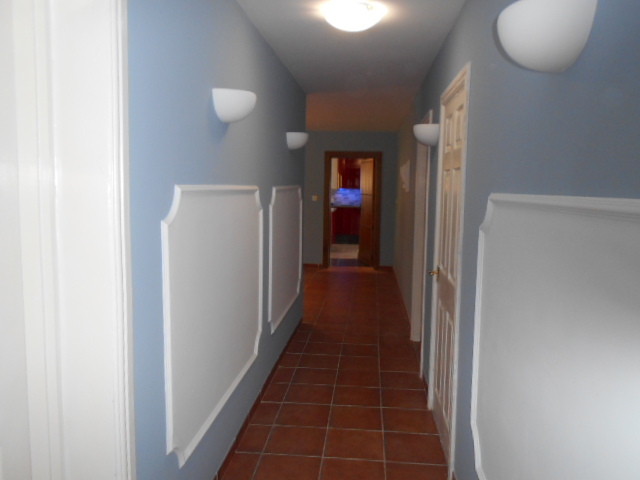 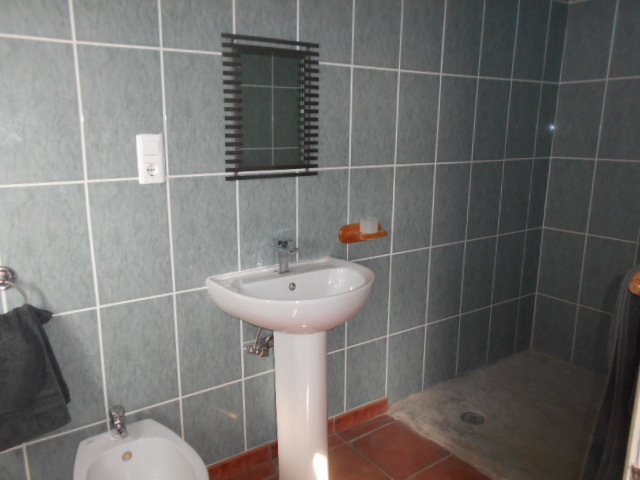 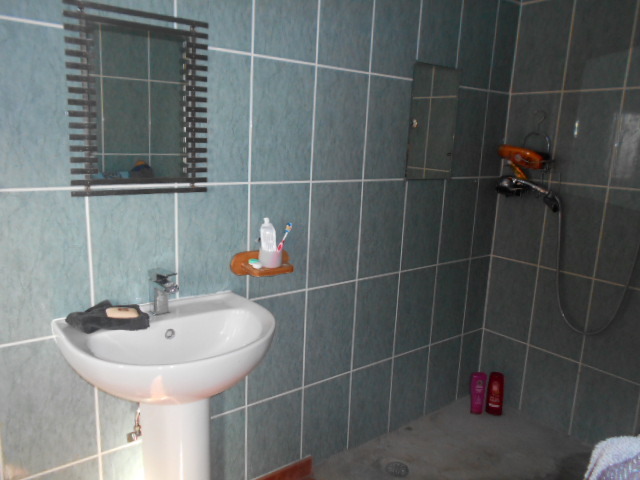 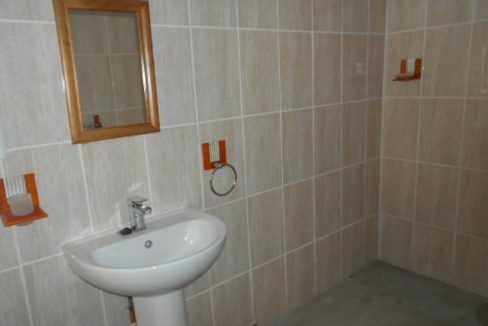 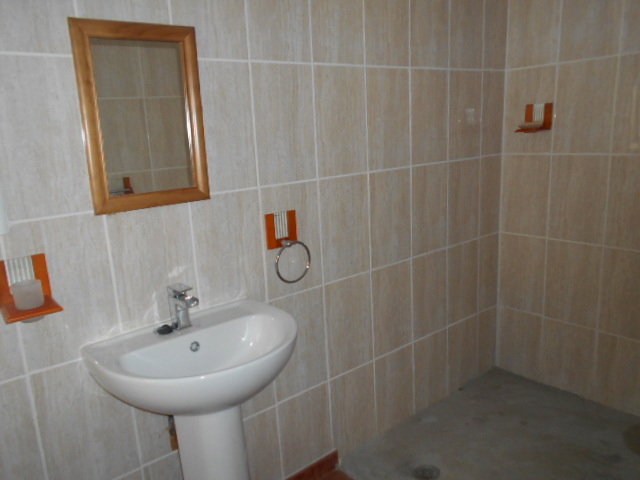 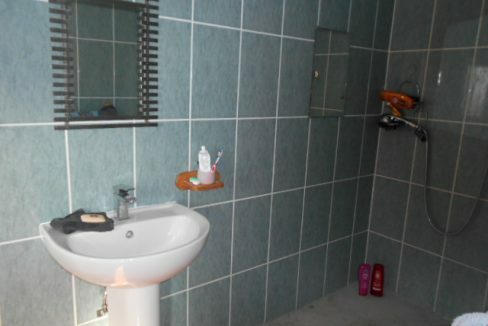 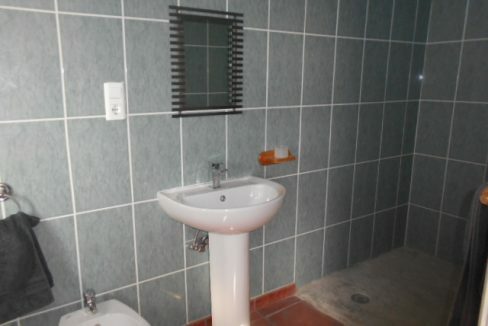 The bathrooms are wet rooms with bidets, and are both ensuite, there is a seperate toilet/utility room. 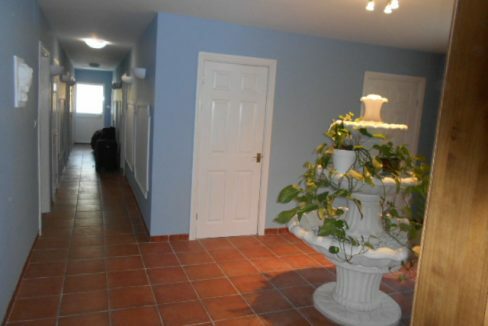 The central lobby has a unique central fountain feature and masses of space. 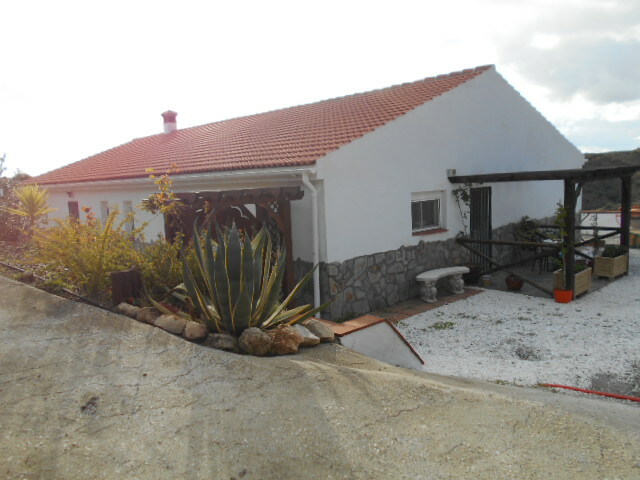 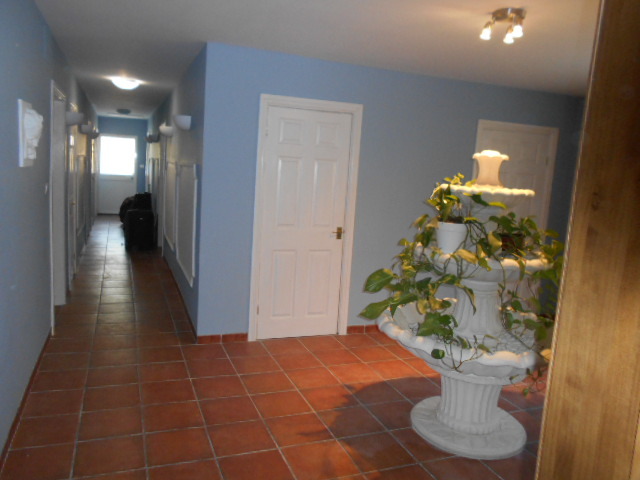 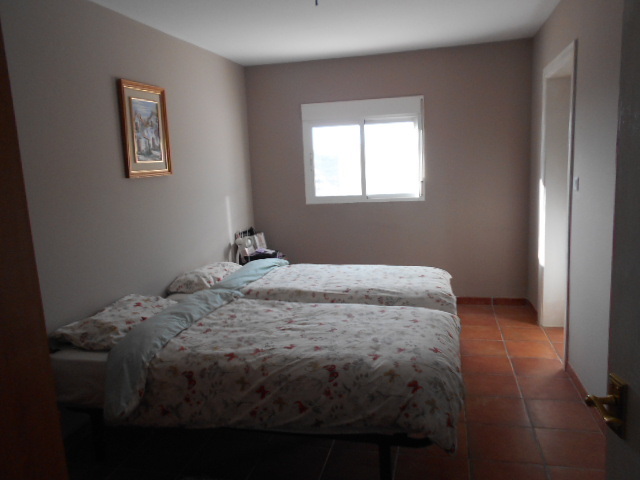 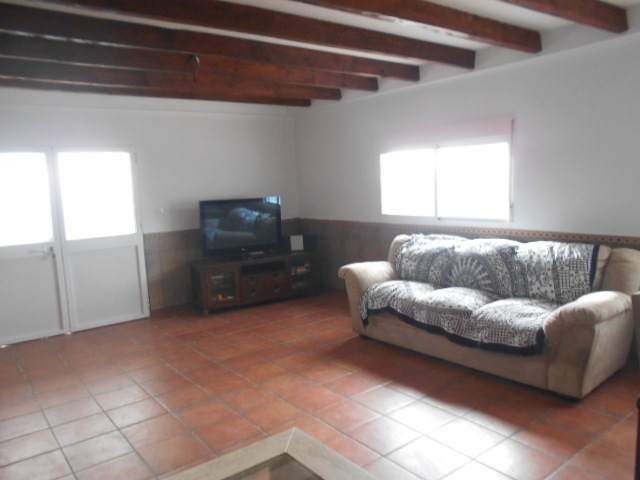 Storerooms are ample in this villa and space.Its has got a deposito for extra water. 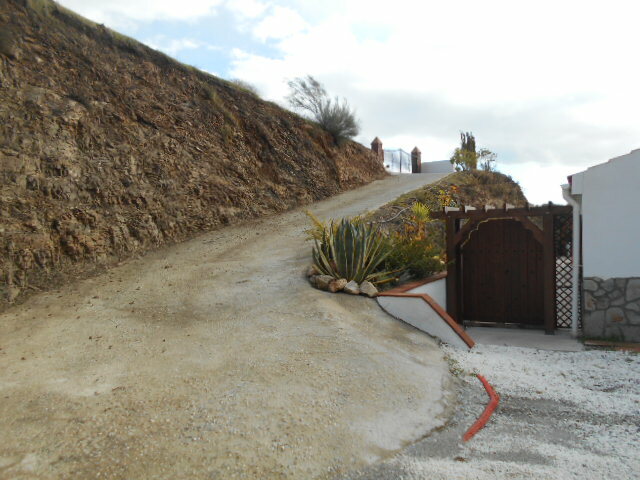 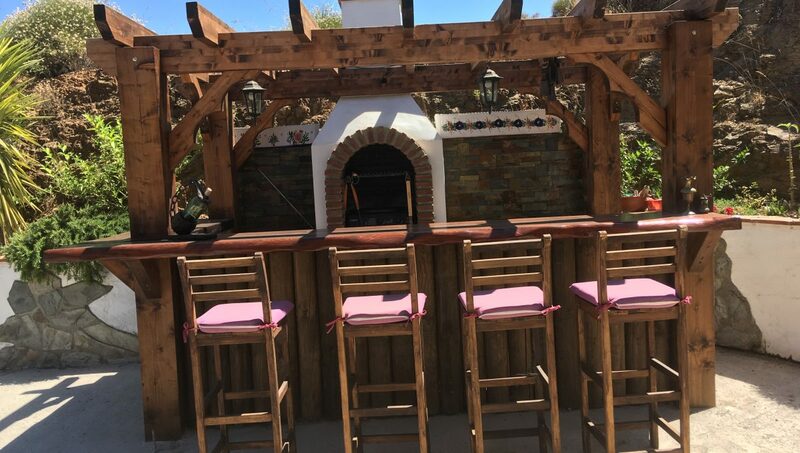 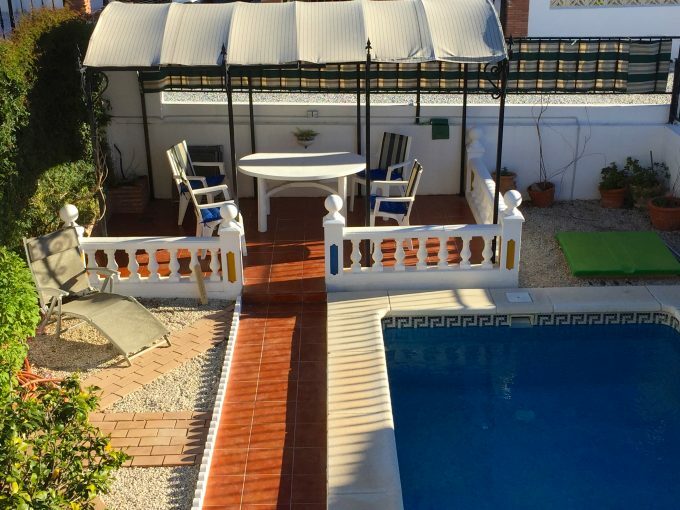 The picturesque quiet location makes this villa a must see set in a lovely tranquil area.